You guys should know by now how obsessed I am with One Tree Hill. I love the characters and the not overly cheesy/vomit-indusing storyline (#Naley4eva), but I love the soundtrack the most. I love the way they work music into the series so well, especially in the more recent seasons with Tric. My favorites of the bunch would be Always Love by Nada Surf, Naive by The Kooks, and The Good Kind by The Wreckers. This playlist is perfect for long drives, reading in your room on a rainy day, and any other time you want a bit of mellow background music with awesome lyrics. Enjoy! Also, wishing a very Happy Birthday to my daddy today! 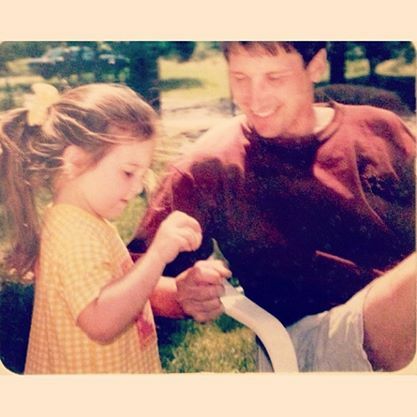 Love you, Daddy (even though you will probably never see this)!